Knowing how to get rid of restless legs syndrome symptoms with exercises and lifestyle choices may prevent a host of serious health conditions from developing. The itchiness and involuntary movements of extremities may cause sleepless nights, as well as trigger problems with the heart and other organs. 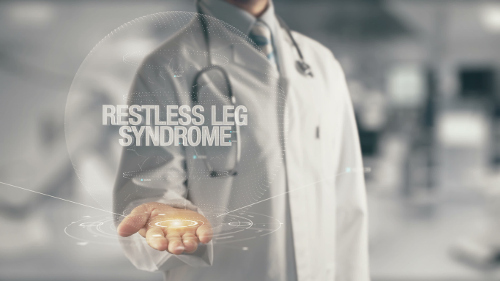 As it is a neurological disorder affecting the nerves of the legs and arms, restless legs syndrome may also be treated as a sleep disorder. It can cause restless nights filled with pain and unbearable sensations. And one or both sides of the body can experience symptoms at the same time. The key to knowing how to get rid of restless legs syndrome naturally is to learn what works for the individual who is suffering from this condition. No two cases of restless leg syndrome are the same, and not every exercise and treatment will alleviate symptoms for everyone. So, how do you get rid of restless leg syndrome? One of the most successful practices is by performing specific exercises for restless leg syndrome. By strengthening the legs by exercising three or four times each week, the symptoms of restless legs syndrome may dissipate over time. But be careful not to overdo it, as too much exercise may aggravate the condition. Here are some effective stretching exercises that you can try to alleviate the symptoms of restless leg syndrome. Stand up facing a wall with your arms outstretched, and place the palms of your hands on the wall with your elbows straight. Bend your right knee slightly as you move your left leg back one or two steps with your left foot flat on the floor. Hold this position for 20 to 30 seconds. From this position, bend your left knee with your foot remaining flat on the floor to feel a stretch. Then move the left foot back a little more for a deeper stretch. Hold and return to the original position. Repeat with the other leg. In a standing position near a wall for balance, move your right ankle back up towards the buttocks with your left leg straight. Hold the position for 20 to 30 seconds before lowering your right leg. Repeat with the other leg. Stand up facing a chair with its back against a wall to be used for support. Raise your left foot and place it flat on the chair, bending your knee (you may also try this with stairs using the railing for balance). Keep your spine straight as you slowly thrust your pelvis forward to feel a stretch in the right thigh. Hold the position for 20 to 30 seconds before returning to your original stance. Repeat with the other leg. In a standing position, use a chair for support as you bend the leg closest to the chair leg slightly to move forward at the hips. Place your other heel out onto the floor in front of you and your flex toes towards the shin. Hold the position for 10 seconds to feel a stretch in the back of the thigh. Return to the original position and repeat on the other side. In addition to these exercises, practicing yoga poses for restless leg syndrome can help with symptoms. However, performing extreme yoga such as hot yoga, DDP yoga, and Ashtanga are not recommended. These types of exercises are not effective treatments for restless leg syndrome, as they stress or overtax the body. On the other hand, the following yoga poses are highly recommended to help treat and reduce the symptoms of restless leg syndrome. Lay on the floor on your back, and extend your legs up a wall, so that your body is at a 90-degree angle. Retain this position for up to 20 minutes. Please note that those with diabetes or uncontrollable high blood pressure, as well as women who are pregnant or in the midst of their menstrual cycle, should not attempt this pose. Stand with your feet hip-width apart and bend forward at the hips. Keep your knees straight but soft as you lengthen your spine. Hold this position for up to 10 breaths, avoiding discomfort. High blood pressure patients should take extra caution when performing this pose. Sit on the floor with your legs extended straight out in front of you, and lengthen your spine as you bend forward at the hips. Grab hold of your feet (or use a belt to wrap around the feet) and hold the position as you feel a stretch up through the spine. Breathe deeply as you hold the position up to 10 breaths. Sit on the floor with your legs extended with one knee bent. Then hold to the side to open the hip. You may want to support the bent leg with a foam roller or rolled blanket underneath as you lengthen the spine. As you inhale, bend forward to have nose touch the straightened knee. Hold the position for up to 10 breaths and return to starting position before repeating on the other side. Lay on your back with your feet flat on the floor at a hip-width distance. Use a yoga block or firm pillow to support the lower back as you relax the body. Hold the position for up to five minutes. Remove the support and hold the position for up to five breaths. Then roll your body to one side to sit up. Kneel on the floor and sit on your hands as you bend your torso forward with your arms at the side. Place your forehead on the floor in front of you. You can use support if needed in the form of rolled blankets, or use a bolster between the knees with blankets underneath you. Hold the position for up to 20 minutes while taking deep breaths. Lay on the floor on your back with your legs extended straight (use the support of a rolled blanket or pillow under the knees). With your arms outstretched to the sides, perform deep breathing for up to 20 minutes. Practise proper deep breathing by inhaling and exhaling in equal amounts. Work up to be able to perform exhaling longer than inhaling. Follow one or more of these tips to ease restless leg syndrome to get a better night’s sleep if you suffer from this condition. Adopting these lifestyle changes will also help to ease your restless legs symptoms. In the medical world, doctors will often prescribe muscle relaxants, sleeping aids, and sedatives for restless leg syndrome treatment. These may alleviate the pain while reducing tension in the muscles long enough to allow temporary comfort and promote a more restful sleep. Opioids may be prescribed in more severe cases to address extreme pain symptoms. But these medications can be habit-forming, so you should take precaution in such cases. Dopamine agonists are commonly prescribed to increase the brain’s dopamine levels. As a neurotransmitter, dopamine targets controlled movement within the body. Some cases of restless leg syndrome may be treated with antiseizure medications. The purpose of these medications is to get the trembling under control. Restless leg syndrome is often treated with iron, either in pill form or through intravenous. While it is important to have a sufficient amount of iron to help prevent restless leg syndrome, an excess of iron may trigger more serious complications. Over-the-counter medications may temporarily alleviate some of the pain and discomfort. These include nonsteroidal anti-inflammatories such as ibuprofen, acetaminophen, and naproxen. However, you need to monitor possible side effects of heart issues and bleeding. Restless leg syndrome causes the nerves of the legs to move involuntarily. This may present as a constant itchiness or a pins and needles sensation in the legs and possibly the arms. As the urge to move the legs is usually prevalent during rest, such as at night, this syndrome is also considered a sleep disorder. While many cases of restless legs syndrome may be treated with prescribed and over-the-counter medications, you can also alleviate symptoms with simple lifestyle changes, exercises, and natural home remedies. Fries, W.C., “Tips For Restless Legs Syndrome Relief,” WebMD, June 4, 2008; http://www.webmd.com/sleep-disorders/features/tips-for-restless-legs-syndrome-relief#1, last accessed August 31, 2017. “Options for Treating Restless Legs Syndrome,” PubMed Health, August 30, 2013; https://www.ncbi.nlm.nih.gov/pubmedhealth/PMH0059281/, last accessed August 31, 2017. Wilson, M.A., “Seated Leg Circulation Exercises for Restless Legs Syndrome,” Sit and Be Fit, May 19, 2015; https://www.sitandbefit.org/exercises-restless-leg-syndrome/, last accessed August 31, 2017. “8 Yoga Poses for our Restless Legs,” Everyday Health, January 24, 2014; https://www.everydayhealth.com/sleep-pictures/yoga-poses-for-restless-legs-syndrome.aspx#01, last accessed August 31, 2017. “Natural Home Remedies: Restless Legs Syndrome,” Best Health; http://www.besthealthmag.ca/best-you/home-remedies/natural-home-remedies-restless-legs-syndrome/, last accessed August 31, 2017. Pietrangelo, A., “8 Treatments to Try for Restless Legs Syndrome,” Healthline, April 21, 2017; http://www.healthline.com/health/restless-leg-syndrome/treatments#overview1, last accessed August 31, 2017. Manfred, E., “Exercises and Stretches to Alleviate Restless Leg Syndrome (RLS),” Healthline, April 14, 2017; http://www.healthline.com/health/restless-leg-syndrome/exercises-to-alleviate-rls#Stretches4, last accessed August 31, 2017.